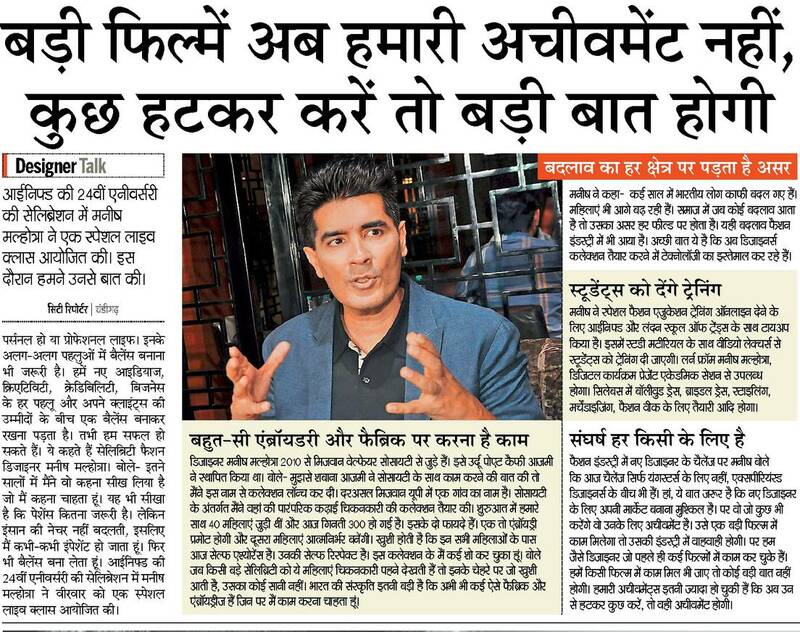 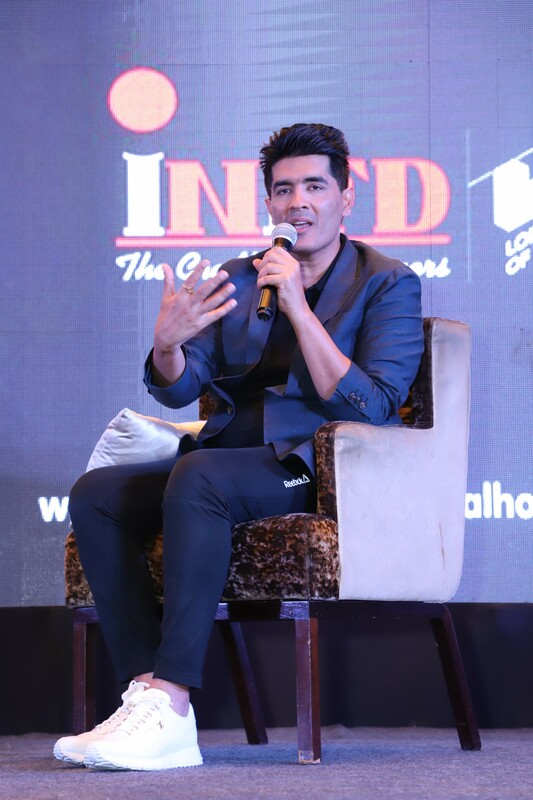 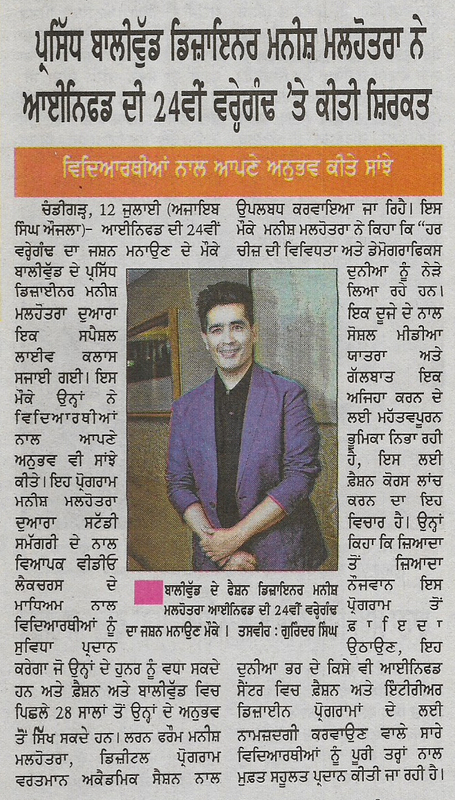 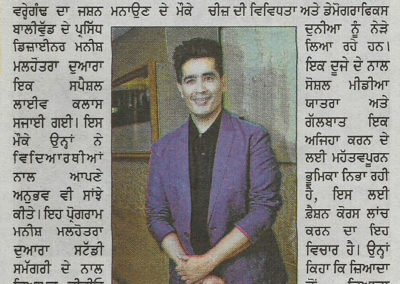 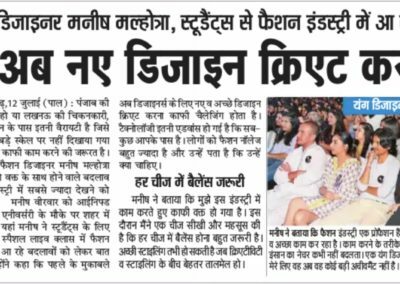 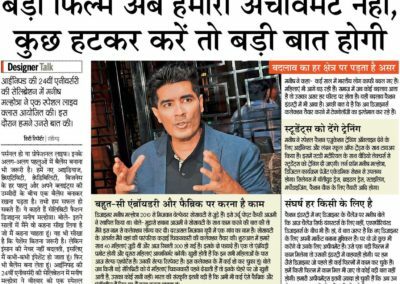 Chandigarh, July 12, 2018: To celebrate the 24th Anniversary of Chandigarh based INIFD – the largest network of Design Institute globally, a special live class was conducted by the Heartthrob of Bollywood and the most coveted Designer Manish Malhotra. Pioneer in the Indian costume design space, ace Bollywood Fashion Designer Manish Malhotra has joined hands with Inter National Institute of Fashion Design (INIFD) and London School of Trends (LST) to impart specialized fashion education training online. 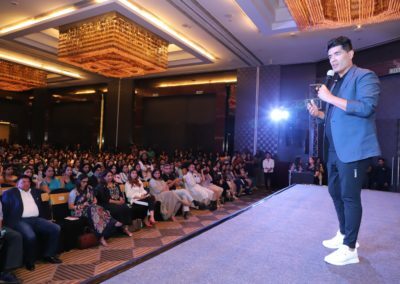 The program will facilitate students through extensive video lectures by Manish Malhotra along with study material that can enhance their skill and learn from his experience from the past 28 years in Fashion and Bollywood. 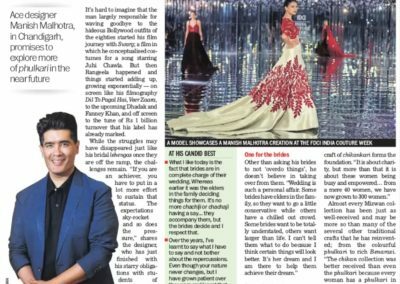 The ‘Learn from Manish Malhotra’ digital programme shall be available from the current academic session. 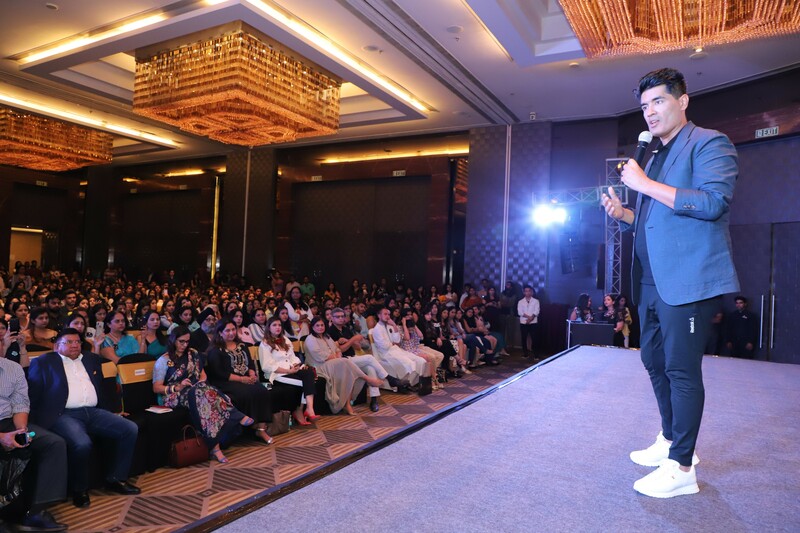 The course will cover in-depth knowledge and training on a wide spectrum in the sector including Bollywood costumes, Bridal trousseau, Styling, Merchandising, Preparation for Fashion Weeks and much more. 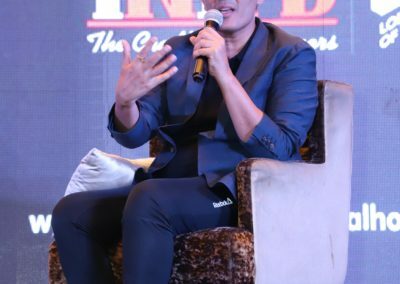 “The diversity and demographics of everything is making the world come closer. 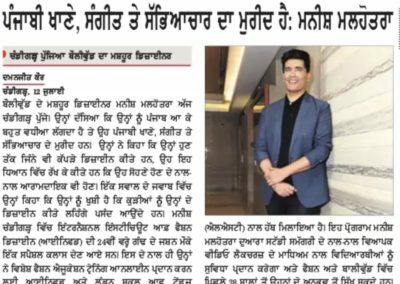 Social media travel and interactions with one another is playing a key role to make his happen hence this thought of launching a fashion course. 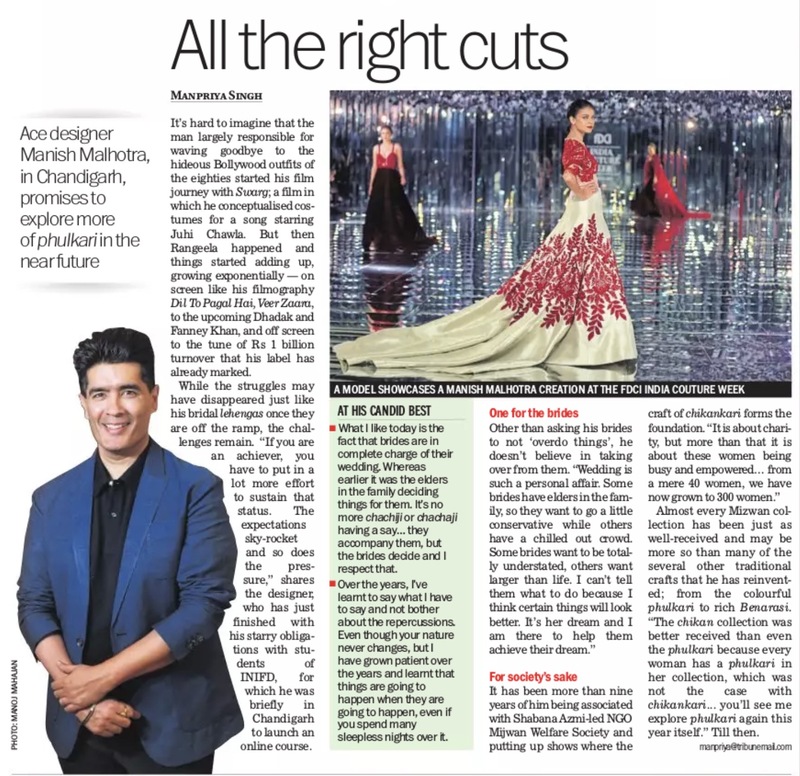 The course will offer an international Fashion and Interior Design curriculum curated and taught by globally renowned academics and industry leaders” says Manish Malhotra. 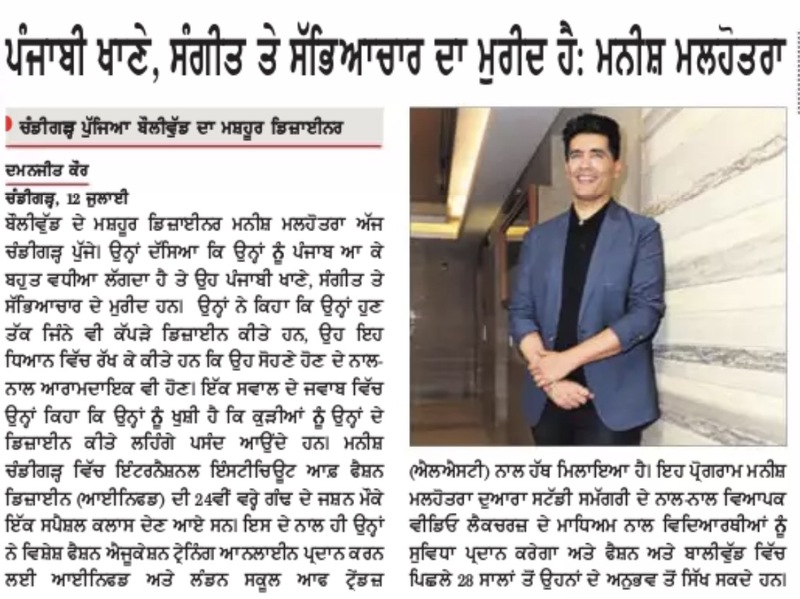 To ensure that more and more youth avail the benefits of this program, it is being offered completely free to all students who enrol for the Fashion and Interior Design Programs at any INIFD Centres across the globe.